March 18 – Los Angeles, CA – The Guthy-Jackson Charitable Foundation’s “NMO State of the Union: 9th International NMO Patient Day” brought together patients, expert clinicians and researchers, industry leaders, caregivers, family and friends for a day of sharing and learning, discussing the latest updates for neuromyelitis optica (NMO) and its spectrum disorder (NMOSD). Launching the LEAD Campaign at the event, the foundation has created a new donate section that will help NMO Advocates raise funding for the tolerization and biomarker projects. Click here to become an NMO LEADer. NMO Ambassadors honored for raising funding for research. Honorees from left to right: Michelle Dean, Maria Loreto (accepting for Jo-Anna Steele), Gabriela Romanow, Craig & Fiona Klein. Honorees not pictured: Nick & Amy Adams, Nancy Reimer. 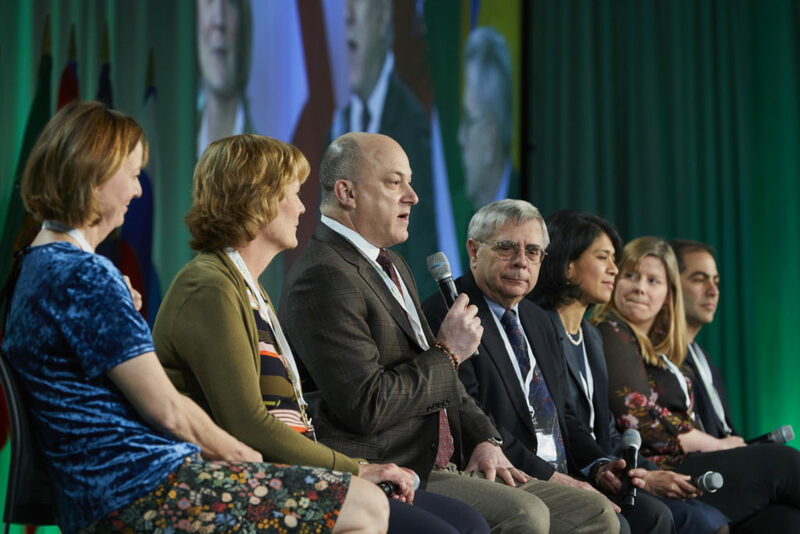 Click here to access the full 2018 NMO Patient Day video gallery. Click here to download full size (14MB). 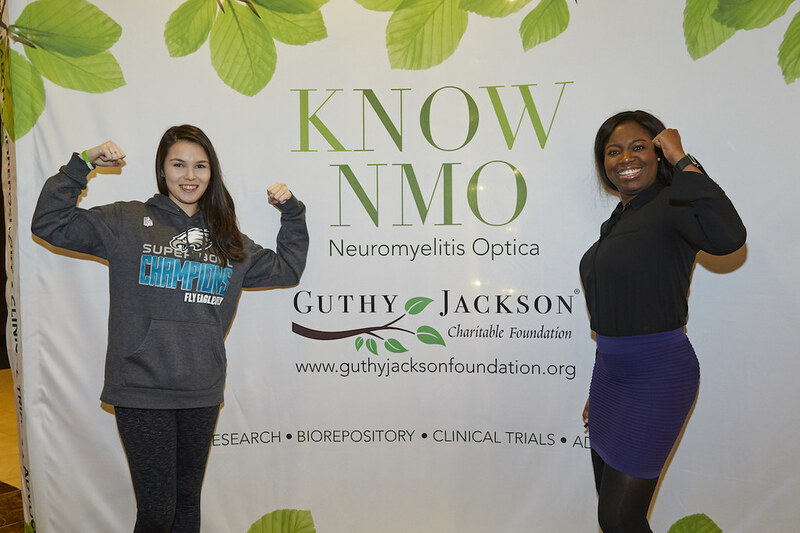 2018 NMO Patient Day is tomorrow, 3/18/18! Panelists: Drs. Jeff Bennett, Ardith Courtney, May Han, Michael Levy, John Rose, Nancy Sicotte, Erin Fromm, R.N., Maureen Mealy, R.N. When will we be notified if the grant has been approved? 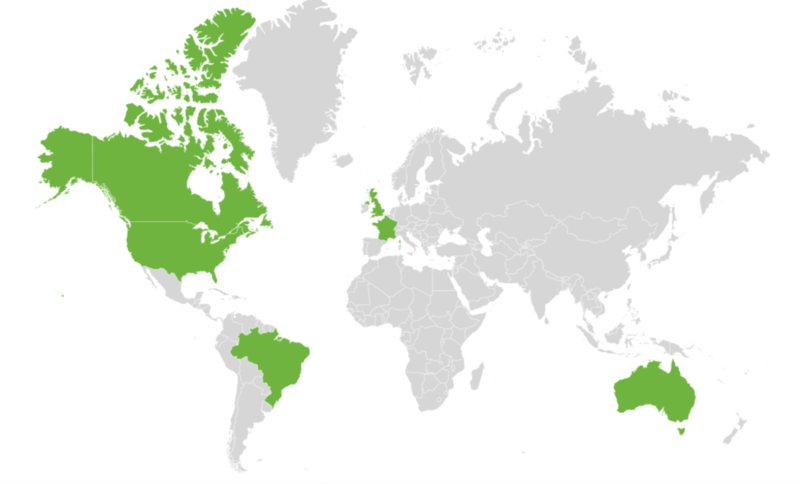 Also do we still need to reserve our rooms if we have submitted a travel grant request? Thanks! There is a travel grant request in the registration page where there’s more info on what can or cannot be covered. Hi, my sister was diagnosed as NMO in 2014 and would like to participate 2018 patient day. She lost her vision on both eyes and need my assistance. She is on disability, the cost fro flying from Houston and accommodation is huge barrier for her. I wonder if we will be able to get some help on registration fee and hotel discount. Please email me at jkfamily2014@outlook.com I live in Houston and have NMO. I am trying to start a support group. I would love to meet your sister.